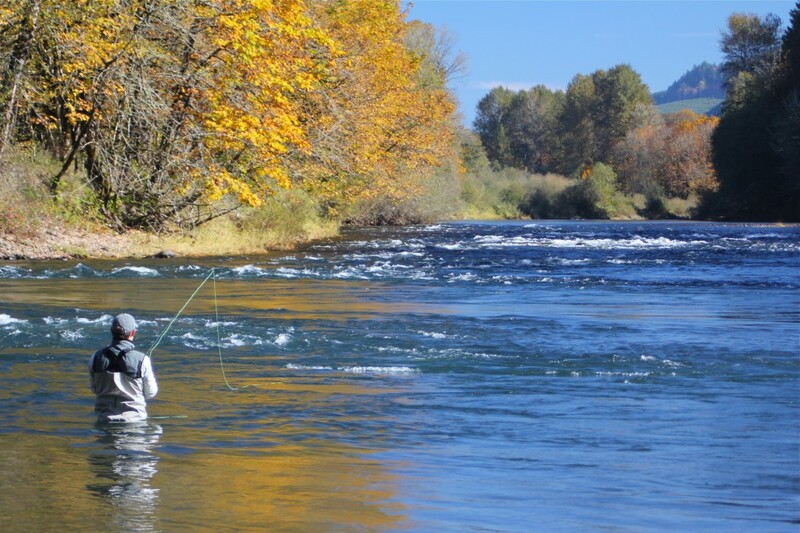 It has been a nice fall for fishing here in the Valley. Here are some of the moments from the season so far. There’s no place like home! 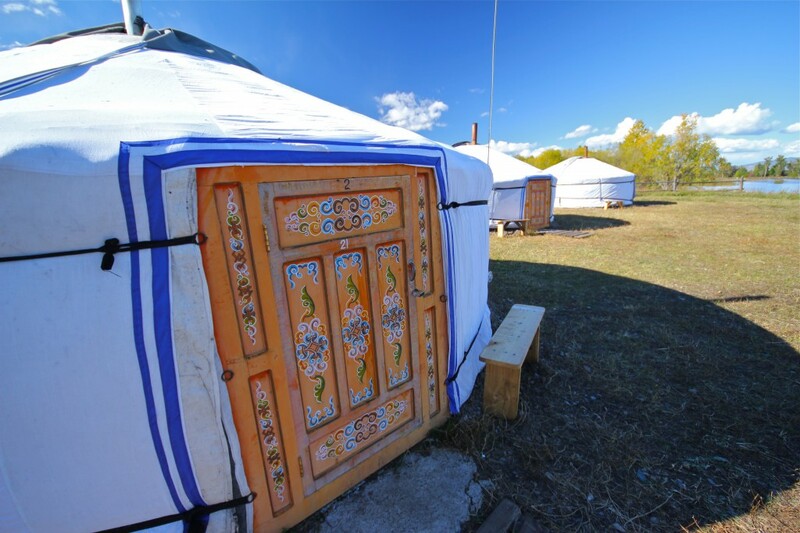 Another season in the wilds of Outer Mongolia has come and gone. Every year is a unique adventure, leaving one with indelible memories and new friendships. 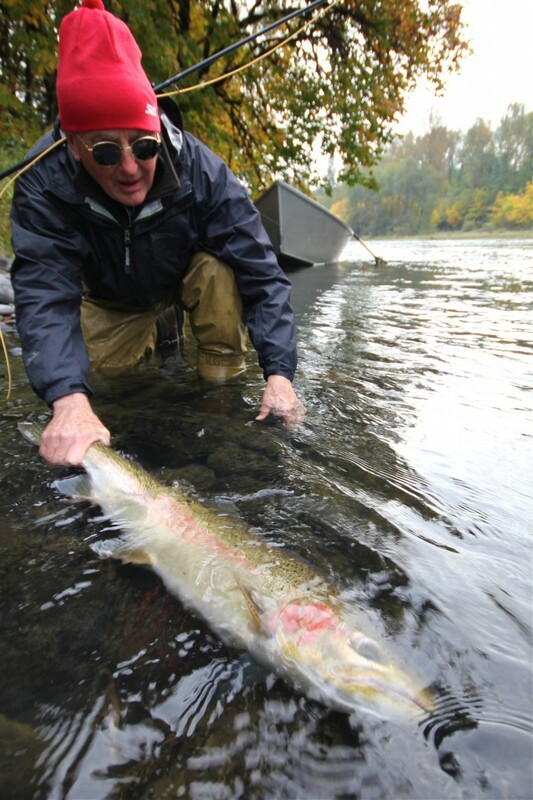 Case in point: the 2013 Fall season was marked by volatility, star power, and fresh appreciation for the opportunity to pursue the world’s largest salmonid. Week 1: Noah was too busy to make the trip. On the way to camp, this year, I rode with my good friends and longtime camp managers, Odkhuu and Mogi. 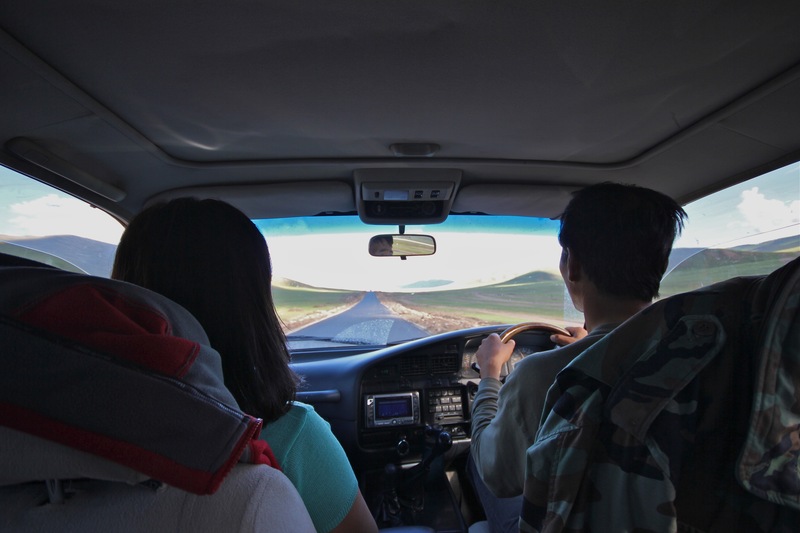 We enjoyed the freshly laid asphalt highway for the first 75 km out of Muren, before getting back to the bounce and grind of standard Mongolian travel for the last 5 hours of the drive. Though you’d be hard pressed to find a local who feels the same, I couldn’t help feeling more than a twinge of disappointment at the inexorable taming of the wildness of the place. And the scars on the hillsides, where the builders had excavated the material for the roadbed were jarring to the eye. 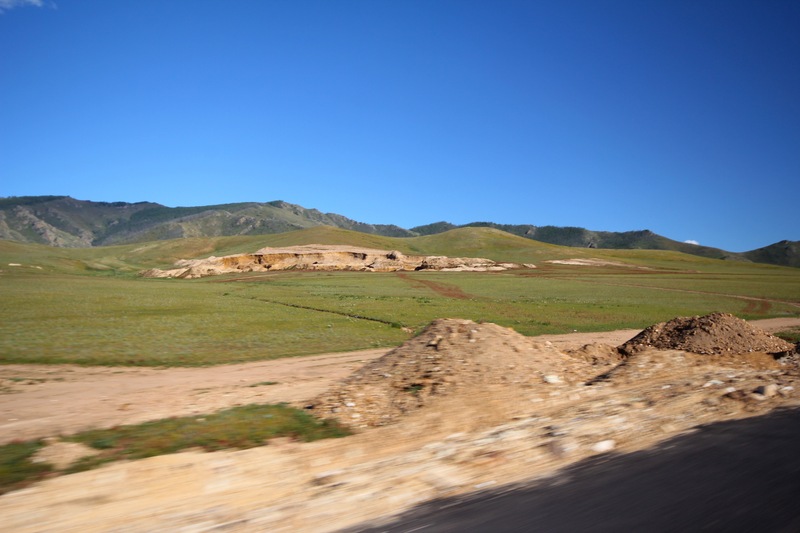 Once back on the good old Mongolian country highway, we stopped often to enjoy the scenery. Before I came over this year, Big Fish Bayara had warned me that the rivers were still running high from late summer rains. So I was somewhat prepared for my first view of the river the next morning. 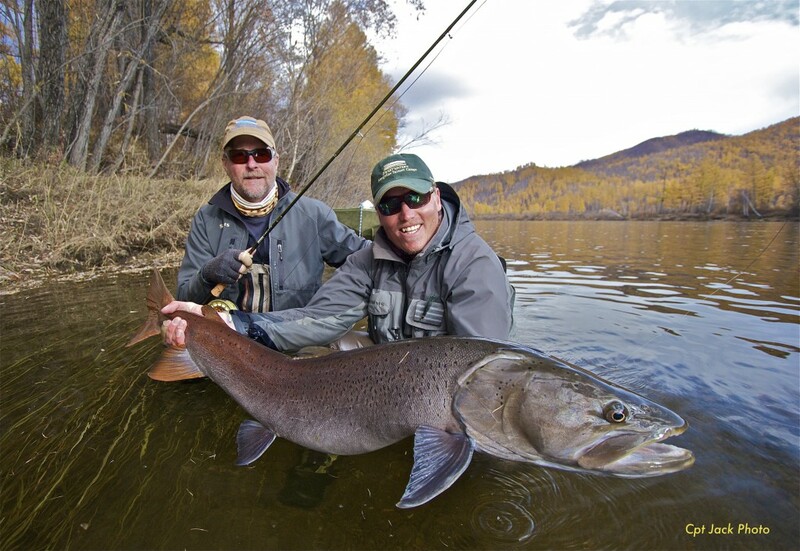 I called Sweetwater Travel Company’s Dan Vermillion to give him the news: we might be able to pull off a half week of fishing for the first group of guests, but might want to let them know that conditions are, shall we say, “sub-optimal” for taimen fishing. Dan was able to reach the guests, and they all decided to take a rain check until next season. So suddenly, we were without guests for the entire week. 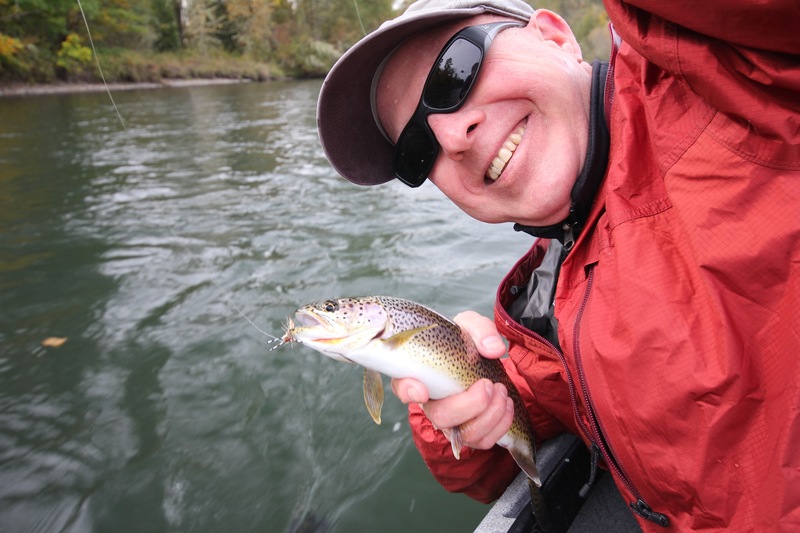 First-year taimen guide, Matt Podobinski, and I spent the week tying flies, hiking around, reading, running the boats up and down the river, poking around in the springs and creeks adjacent to the main river. 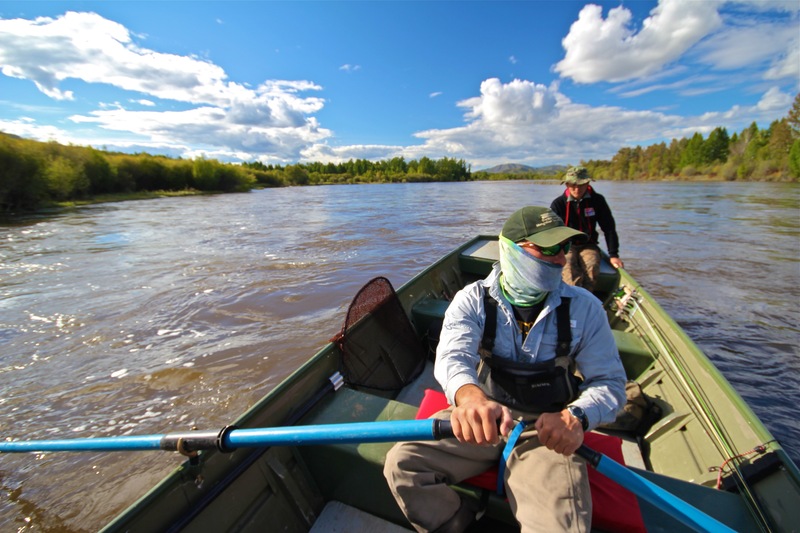 We found some cool fishing here and there and even managed to catch a taimen towards the end of the week, but conditions on the main river were actually quite dangerous. 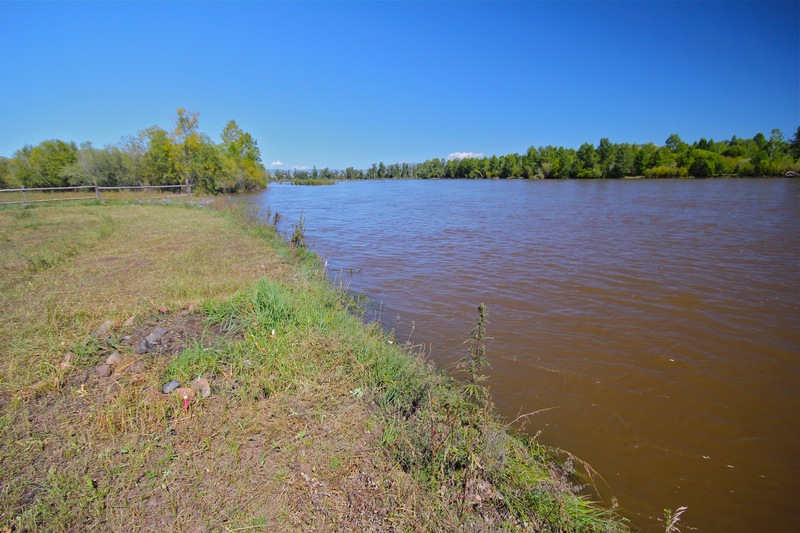 Throughout the week, the river dropped steadily but remained stubbornly brown. Week 2: How to party like a Russian. 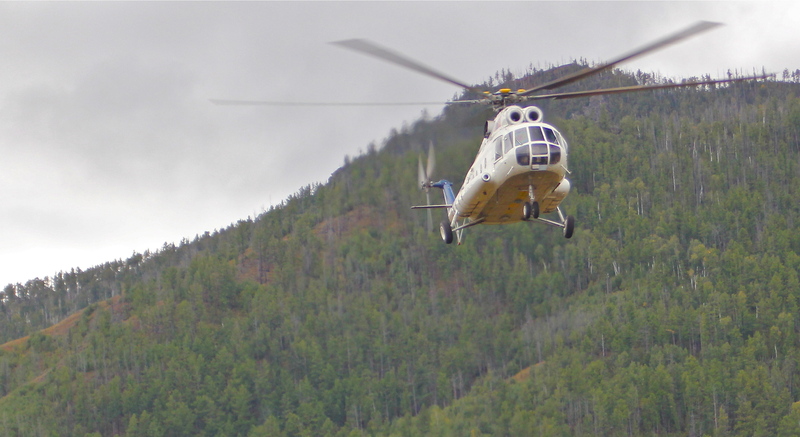 The next Monday, our first group of guests arrived on the chopper. This was a group of Russians from St. Petersburg, who spoke a range of “some” to “absolutely no” English. 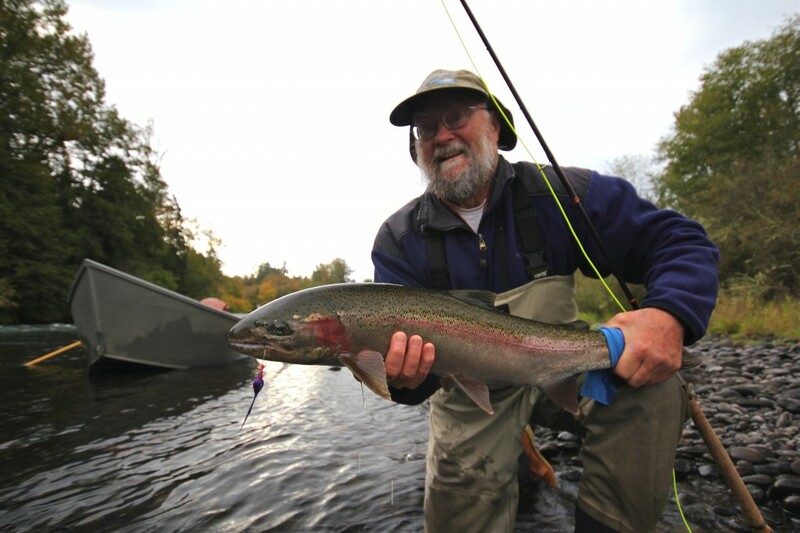 No worries for us though as the group had only a couple of serious anglers among them. The rest lost no time in busting into the cases of vodka and whiskey they had brought to soften their landing. The party most nights would go until 6 or 7 in the morning followed by a half-day of sleeping and maybe a couple of hours of fishing in the afternoon (for a few of the guys). 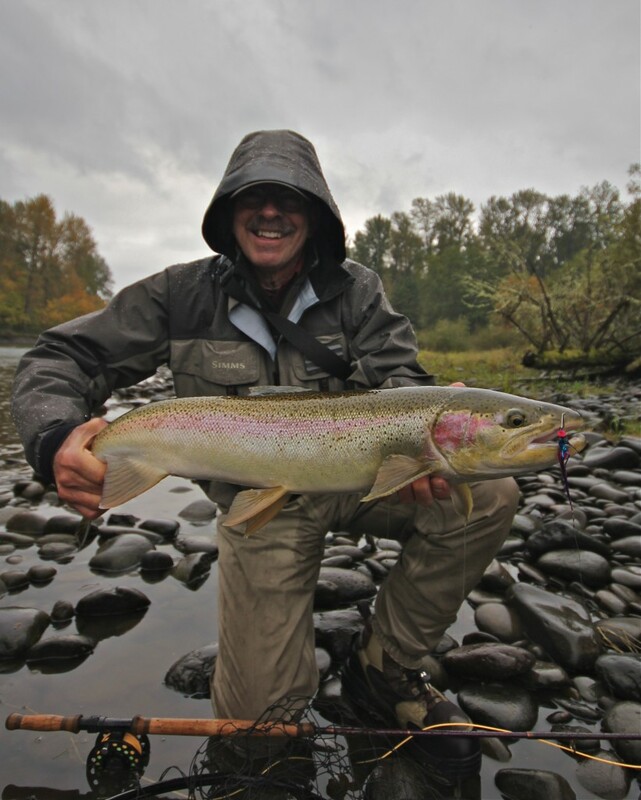 Even with steady improvement in the conditions, the high water made for even tougher than usual taimen fishing. 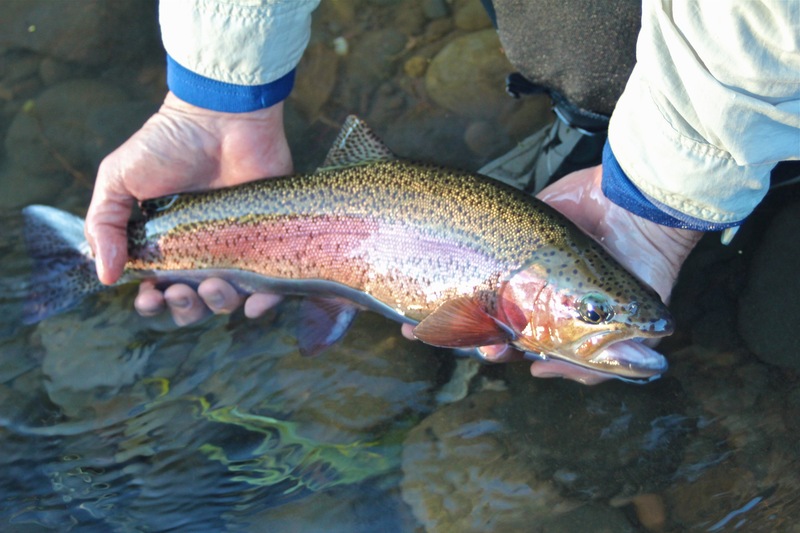 Some anglers fished hard all day, and were rewarded for their efforts. 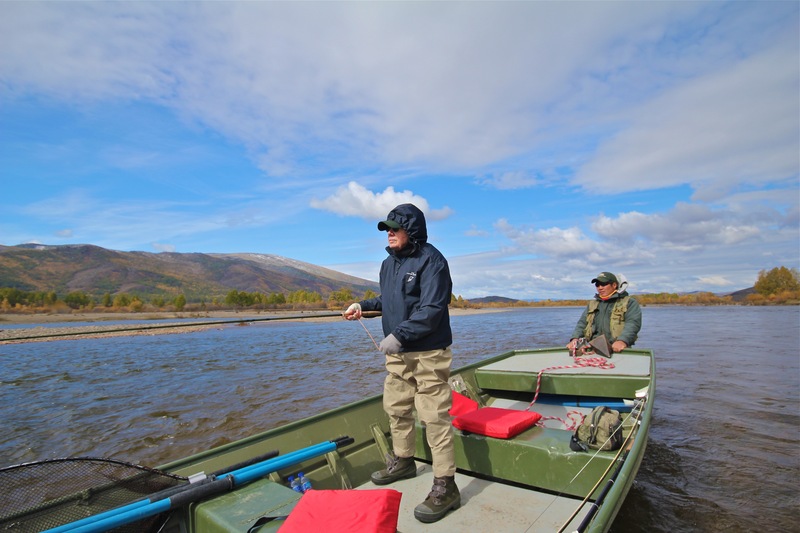 A couple of non-fishermen decided towards the end of the week that their time would be better spent elsewhere, so they took a jeep to the airport in Muren and flew off to new adventures. Last we heard they were happily installed in a brothel in Kiev. Around the time that the two Russians defected, Dan Vermillion arrived in camp with a detail of U.S. Secret Service agents. They were in camp to suss the place out in preparation for the imminent arrival of some very special guests. Week 3: Don’t count your chickens. . . 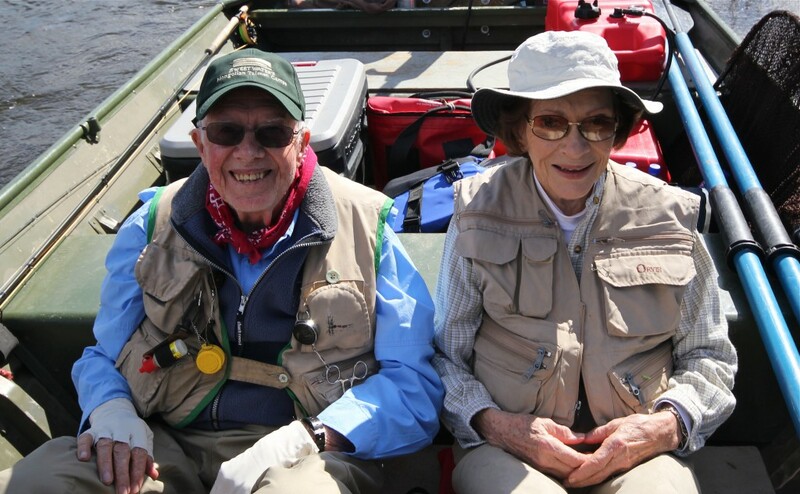 The chopper pilots seemed to land with a theatrical flourish this Monday, and out onto the prairie stepped two of the world’s most well-travelled anglers: President Jimmy and First Lady Rosalyn Carter. Accompanied by an entourage including several good friends, a bevy of Secret Service agents, and U.S. Embassy personnel, the Carters were in camp to try their hands at catching a giant taimen or two. It fell to me to guide them for the week. *Gulp*. 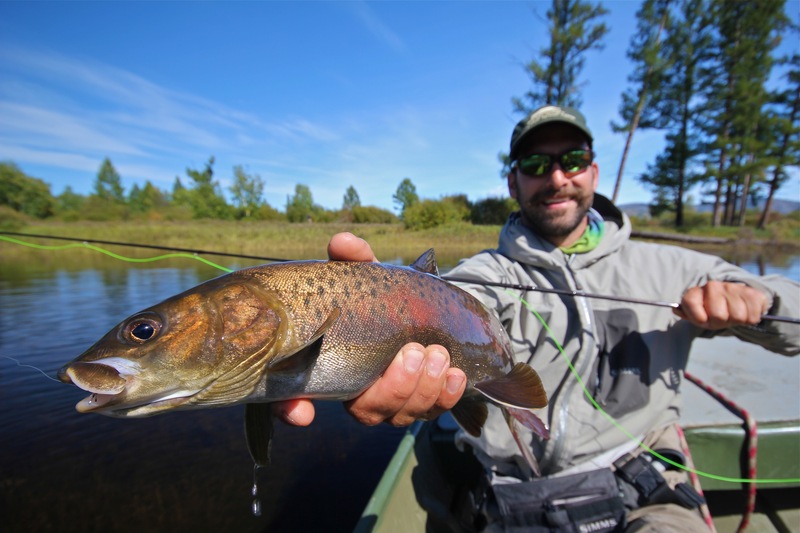 The first evening, we caught some lenok and grayling before a rain squall brought us back into camp. 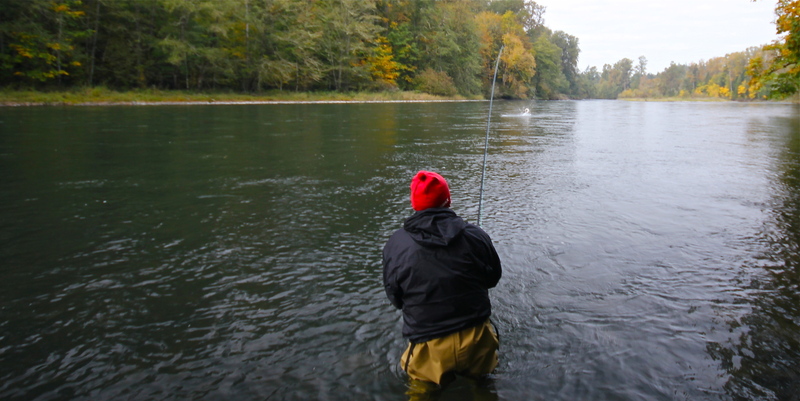 Just as I was taking off my waders, I got word that the President would like to go back out for some bonus time. I ran him across the river to wade the home pool, just the two of us. Despite being a very accomplished angler and fly caster, President Carter was having a bit of a time with his 8wt trying to huck muppets into the wind. I suggested he try one of the camp Spey Rods. Even though he had never used one before, he took to it like, well, a fish to water. He instantly understood how to make a roll cast and water haul into a powerful overhead cast that soon had him burping the reel and pulling out ever longer strips of line. He was like a kid in a candy store, and was clearly wondering where this rod had been all his life. 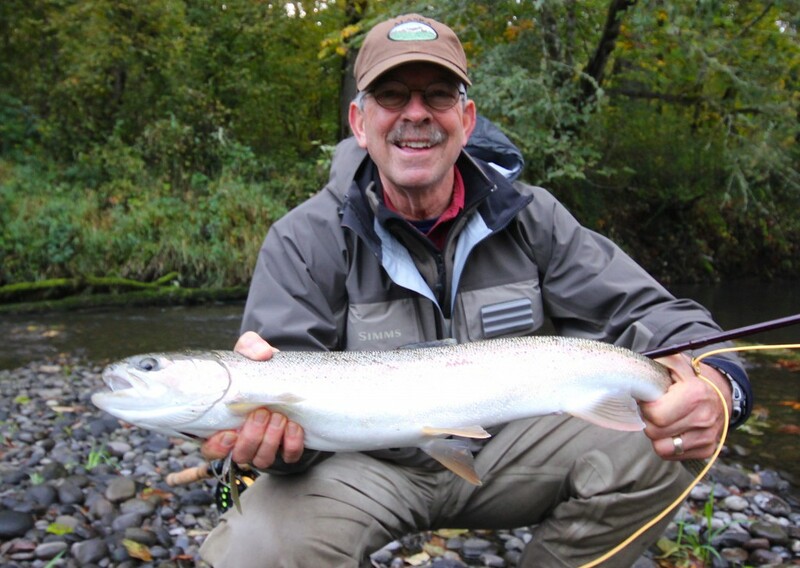 For any fly fishing guide, there are special experiences that remind you why you are lucky to have chosen this path. The week with the Carters was just such a time. I got to stand shoulder to shoulder and thigh deep in the river with President Carter for the entire week. And one thing I learned is that you don’t get to be President of the United States by being a wuss. 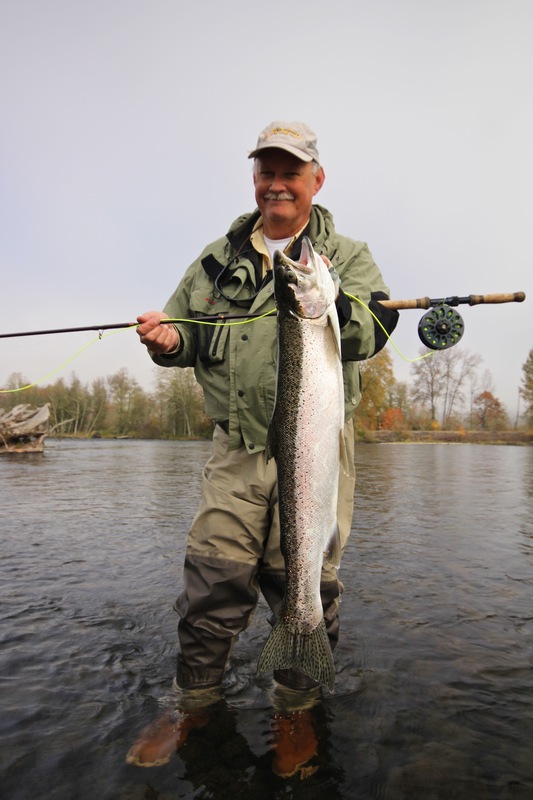 This guy just turned 89 on October 1st, and I am not exaggerating when I say that he out-fished and out-efforted every other client at the lower camp this year. 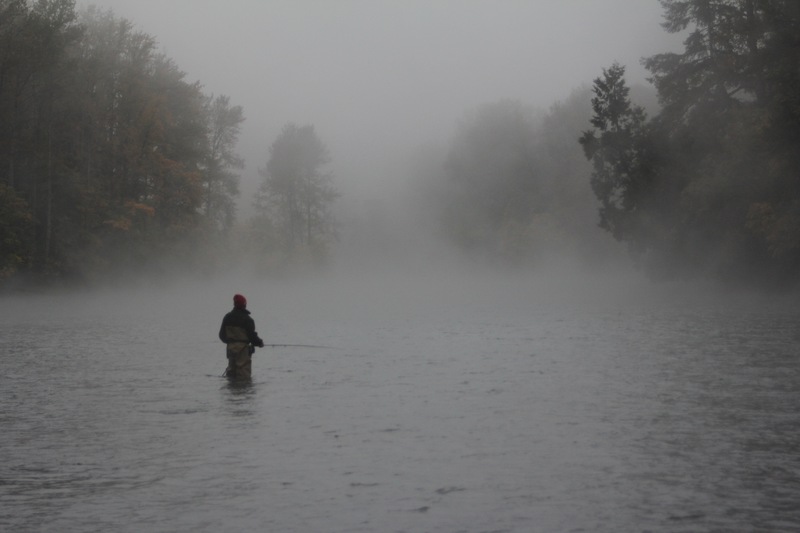 He would cast the entire nine-hour day, fish or no fish, with a grit and determination that were frankly intimidating. 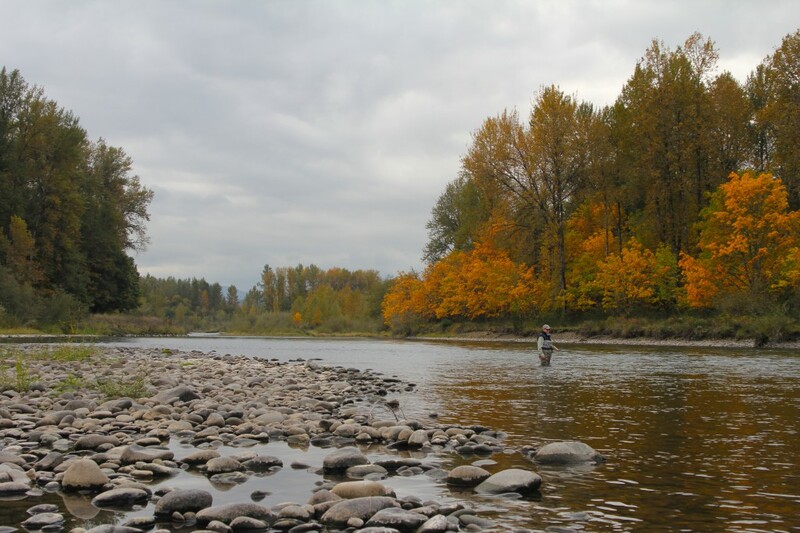 And while others in the party would grouse about the slow fishing, he truly relished the process and punishment of hard-core taimen fishing. 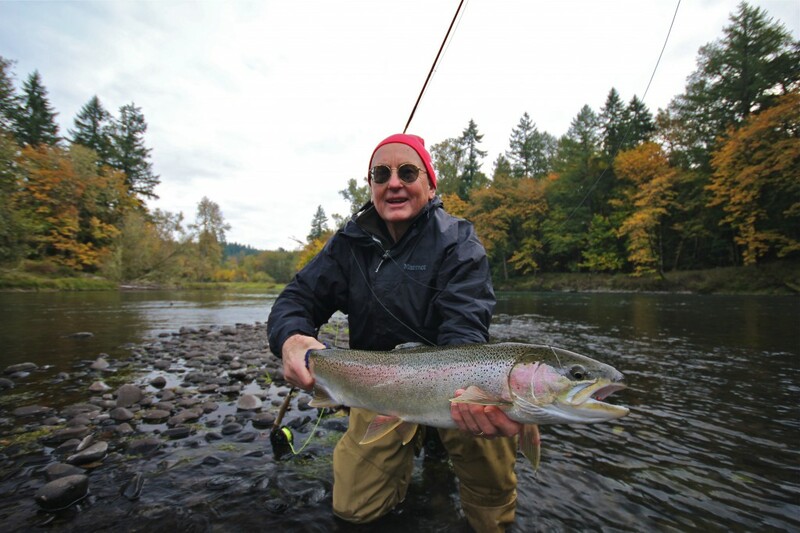 President Carter caught several nice fish in the 2-to-3-foot class, and had a few chances at trophy class taimen through the week (more, in fact, than any other angler for the season), but as often happens, these eluded capture. 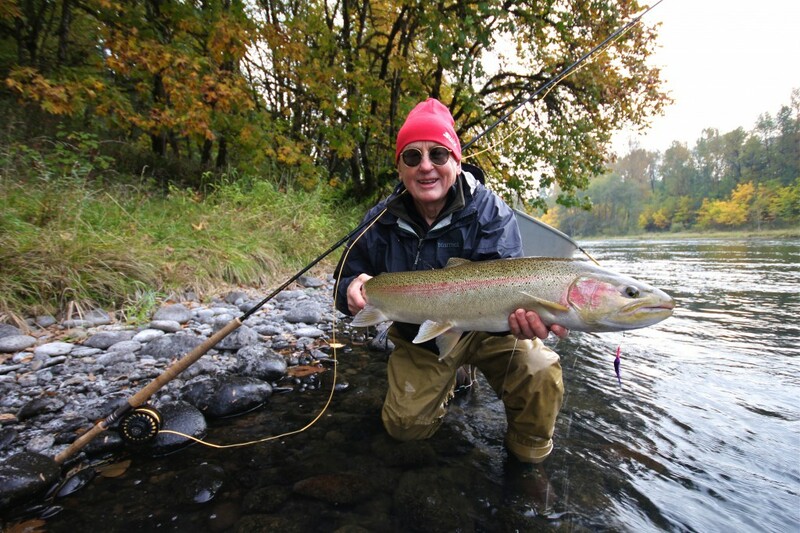 However, the President did catch one fish that will be remembered for a long time. It was around midweek at the end of a long day punctuated by only a couple of strikes in the afternoon. 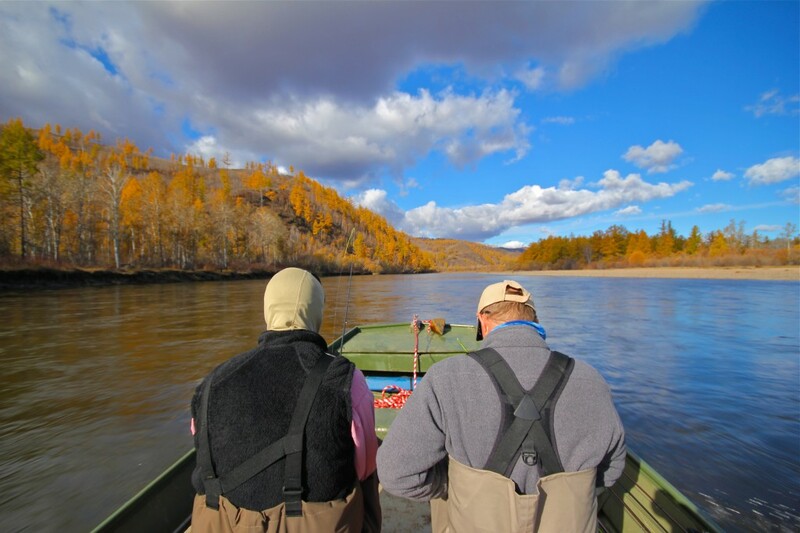 Bayara and I were tag-teaming the guiding duties for the day and we both agreed on the last spot: Fred’s Bend slough mouth, where my father had caught his best taimen many years ago. 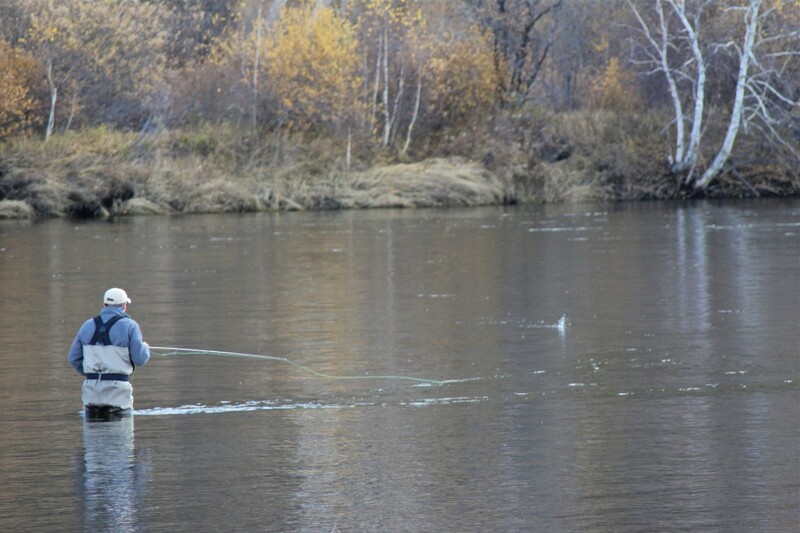 In the evening light, and at the end of the run, last cast. 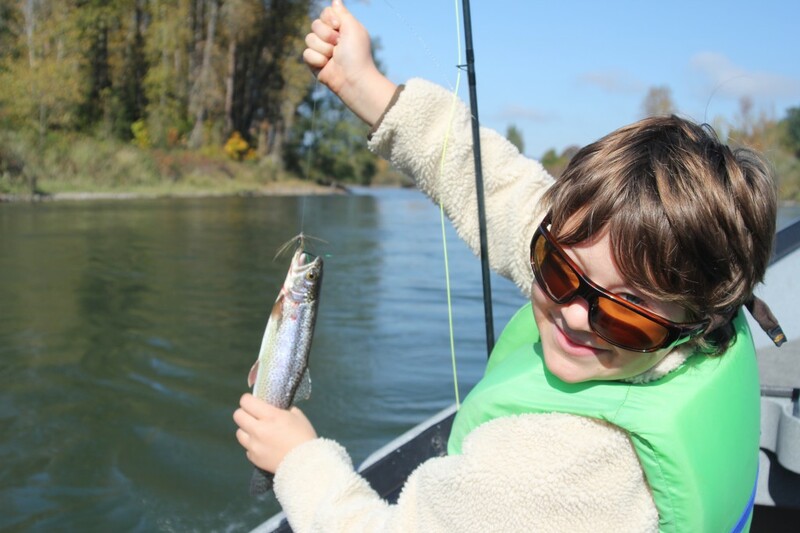 . . finally: a solid strike from a heavy fish on the Cyclops. The President struck hard and the rod bent deeply. Fish On! 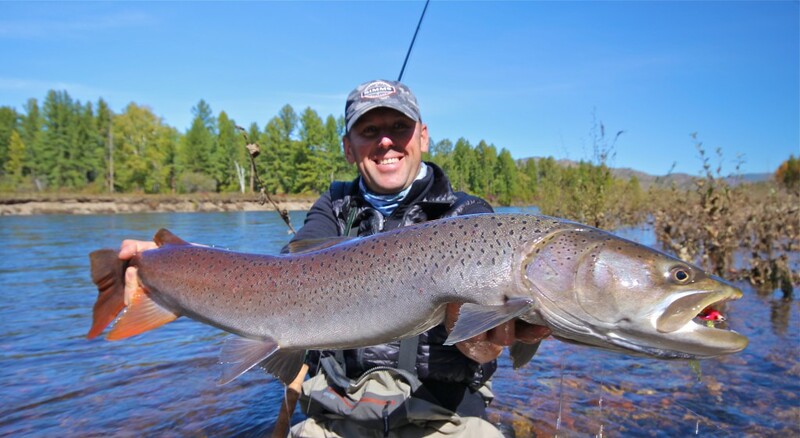 After a stout battle, with several leaps and head shakes, Bayara slid the net under a broad-shouldered trophy-class taimen. Clearly the best fish of the week. You know how in life, there are certain moments where you’d give anything to have a do-over, a mulligan? Moments that play over in your mind as you lie awake at night staring into the dark? Scenes where you run through all the possible and obvious ways that things could have been different? Yes, it’s true: I dropped President Carter’s best taimen before any photo was taken. 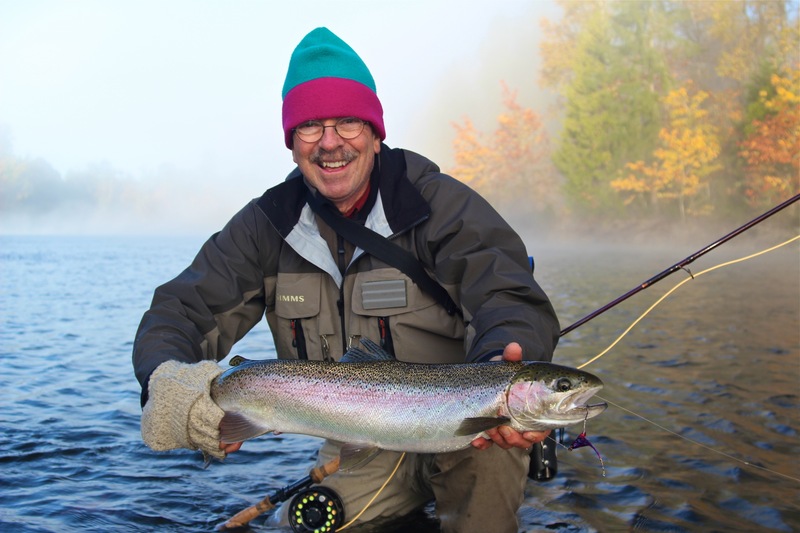 The fish bucked as I cleared the net from its teeth, and the tail squirted from my grip. I sprang to all fours and scrambled after the escaping taimen as it threw a rooster tail across the shallow gravel bar. Twice I touched it, but couldn’t cup the nose. 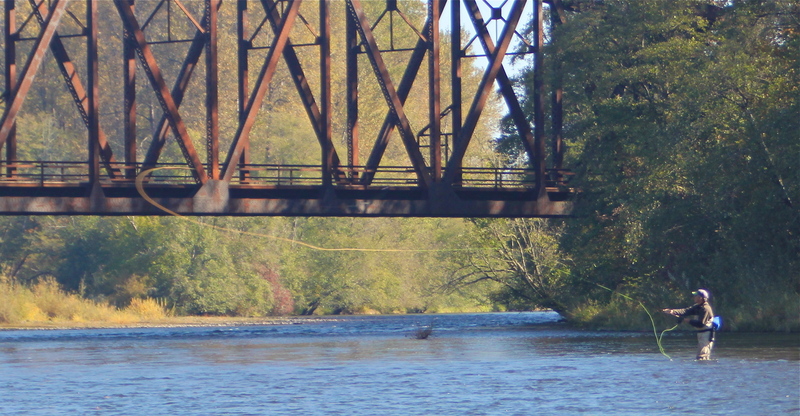 In a final desperate effort, I dove headlong into the water like grizzly on a sockeye. 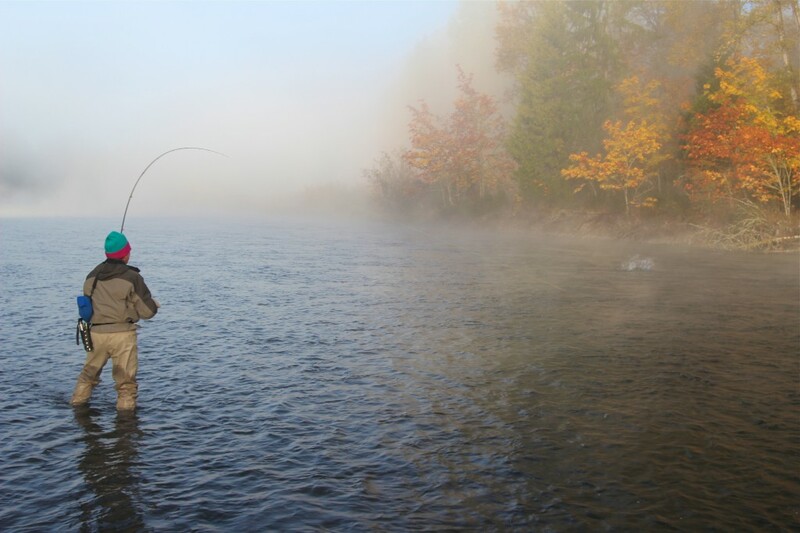 Completely submerged, I wedged head and torso under the chase boat, felt the fish under me, felt it bump and squirm past my clutching arms, and it was gone. Returning to the surface, waders full, hat and glasses askew, I encountered a very different scene than the one from which I had momentarily departed. The President’s trademark grin had been replaced by a look one might have after accidentally biting into a cat turd. 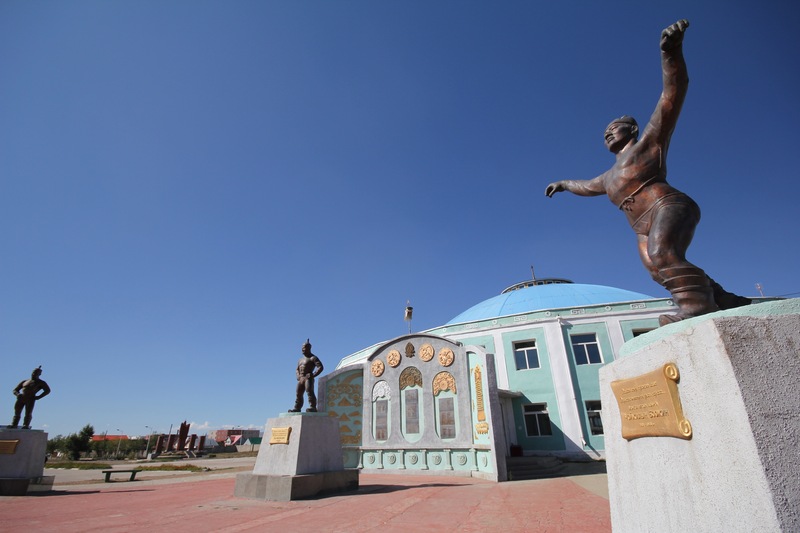 Ganzorig and Bayara stared off into the mountains in the distance completely avoiding eye contact, the Secret Service agents’ mouths hung agape as they looked alternately at the President and at me. 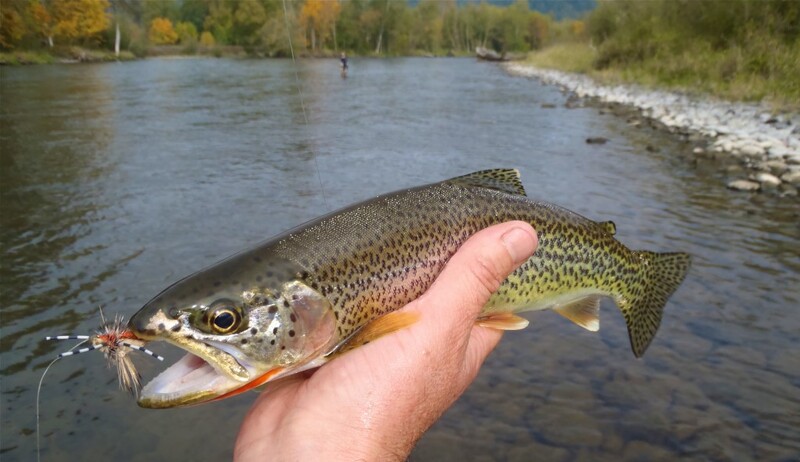 Week 4: Back to “normal” taimen fishing. We bid farewell to President and Mrs. Carter and all our new friends, and the entire circus climbed aboard the helicopter. As they flew off out of sight, I had a lump in my throat, but I may have breathed a sigh of relief. 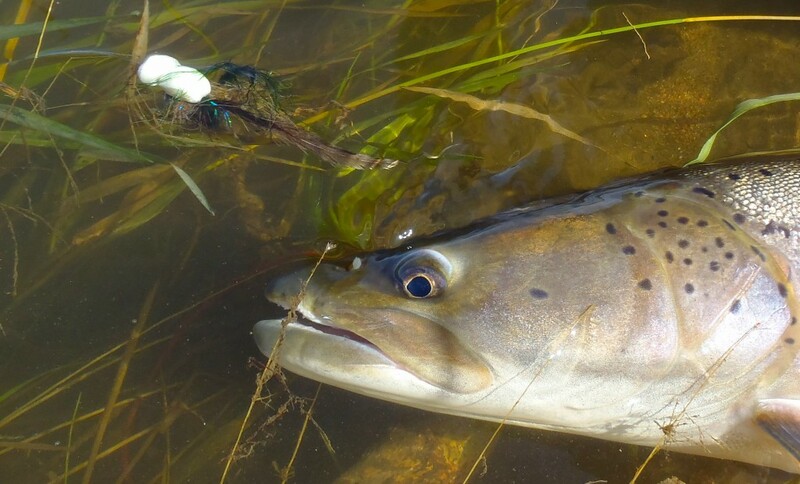 We had a fresh crew of eager anglers in camp, and for the first time all season, everyone was keen to do some serious fishing. 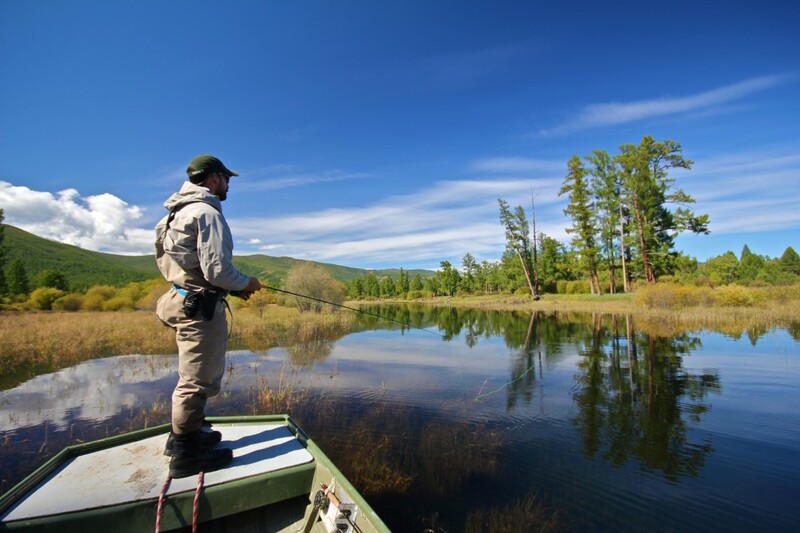 As the fall colors painted the mountainsides, the week fell into the comfortable rhythm that comes with any good fishing. 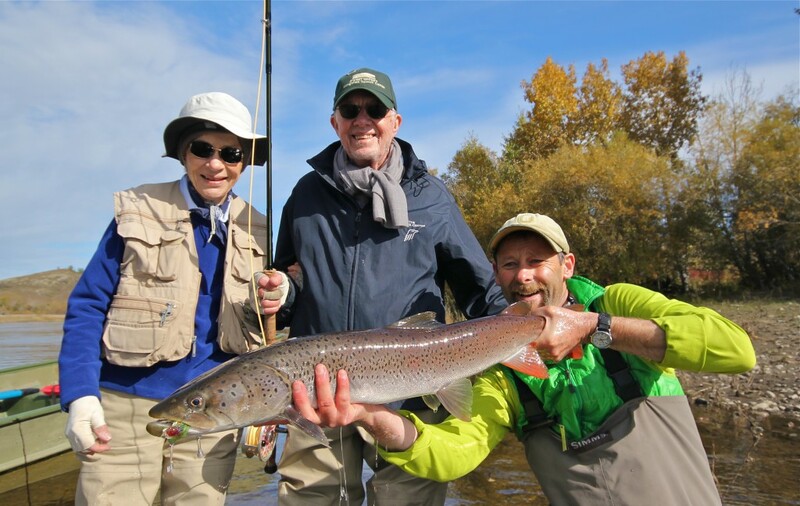 Towards the end of the week, the taimen fishing actually started to get pretty good. 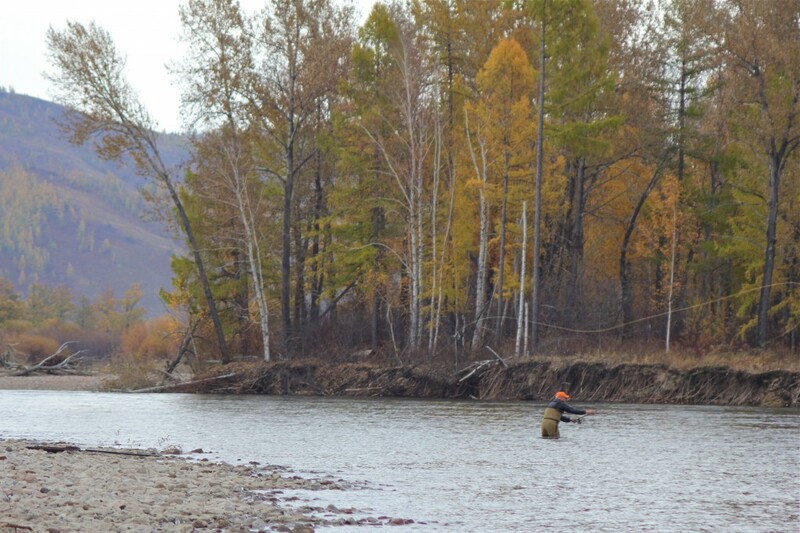 The river level had dropped into still high but entirely reasonable shape, and the taimen were there. And though we didn’t land any giants in that last week, the boys up at the Upper Camp, put us on the map once again. 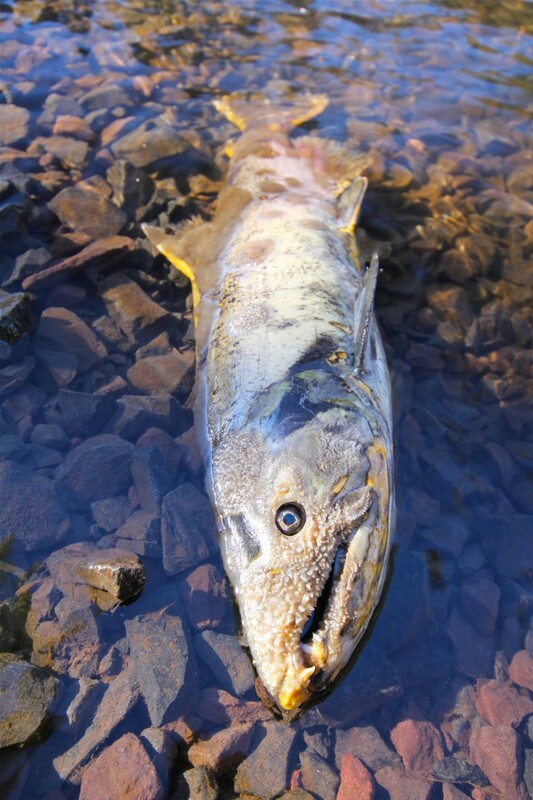 First year taimen guide and Deschutes savant, Matt Carter, was there to represent team Oregon, landing several fish over 45 inches including one beautiful big taimen of 51″. And then, “Golden Boy,” Jako Lucas (who you’ll remember from last season’s report) waited in the weeds all season, fought through the high water conditions on unfamiliar water, and finished strong by finding the fish of the year (again!) on the last day of the week. 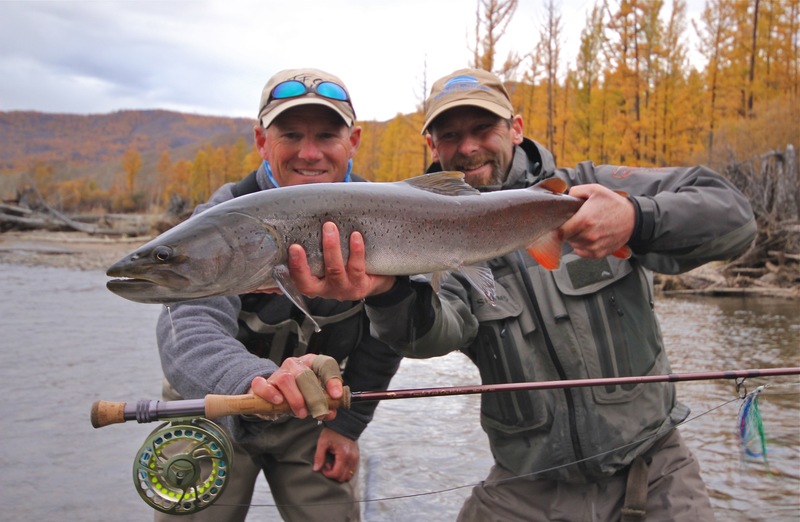 All told, the 2013 Mongolian Taimen Season at both of Sweetwater Travel Company’s Camps, was one to remember; they all are. I think back on all of the life experiences, friendships, and memories I have enjoyed over all these years in this special place. And through it all swims a fish. 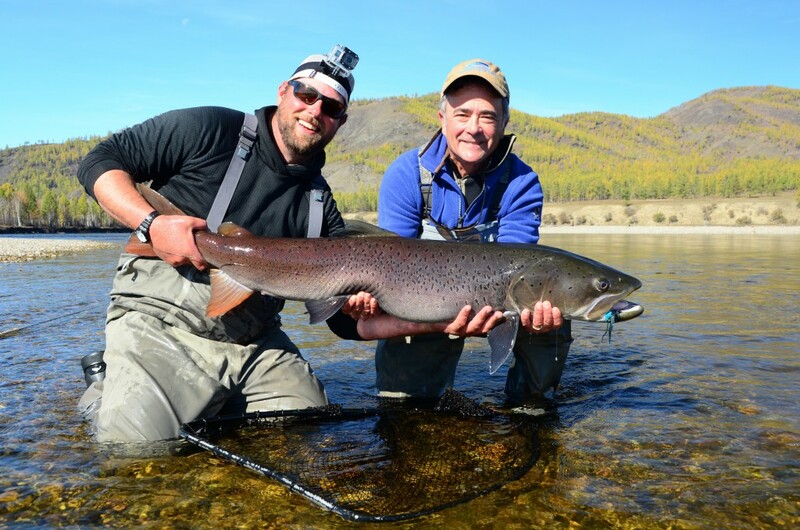 The taimen of Outer Mongolia cast a potent spell on the anglers and guides who chase them. They compel us to undertake the long and arduous journey to encounter them in their home waters. May they swim there forever.